What we put into our bodies can certainly affect how we feel and how healthy we are. But eating the right foods to fuel your body goes beyond enhancing overall health. 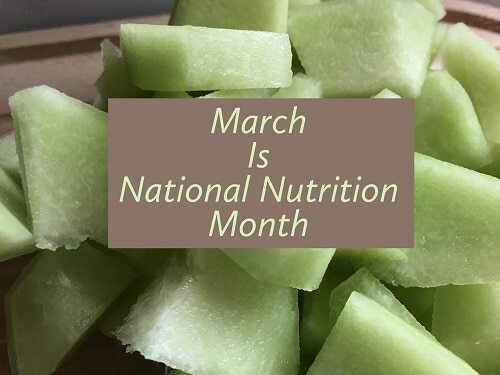 During this National Nutrition Month, your Kettering dentist wants to let all of our patients know how proper nutrition can also benefit your oral health. What Exactly is Proper Nutrition? How Does Good Nutrition Relate to Oral Health? The body’s response to eating “bad” foods and drinks increases the likelihood of someone experiencing oral health issues and diseases. Let’s look at foods that are high in sugar, for example. Sweets and beverages like soda and even juices packed with sugar attack tooth enamel. If they’re not rinsed away or are left exposed to the teeth for long periods of time, they will work away at and erode the protective tooth layer. Without this barrier, teeth are more susceptible to cavities and sensitivity. Although almost every food contains some amount of sugar, even the good foods we’re supposed to eat, try your best to stay away from items that have added sugars and remember to read nutritional labels. Sugar content in the sweeter foods that you choose for you and your family isn’t the only thing your dentist in Kettering is wary of. There are hidden sugars everywhere, even in places that don’t taste sweet. Foods that contain a lot of carbohydrates can actually raise blood glucose levels and effect the body the very same way actual sugar does. Since these carbs end up breaking down into simple sugars, they put teeth at the same risk for decay as eating a sweet treat. At our dental office in Kettering, we strive to keep our patients healthy by being a key member of their health care team. Encouraging a healthy, well-balanced diet is a great way to ensure not only a healthy body, but also a healthy mouth. If you’re looking to become a healthier version of yourself and get your smile in its best shape yet, we welcome you to schedule an appointment with us today.